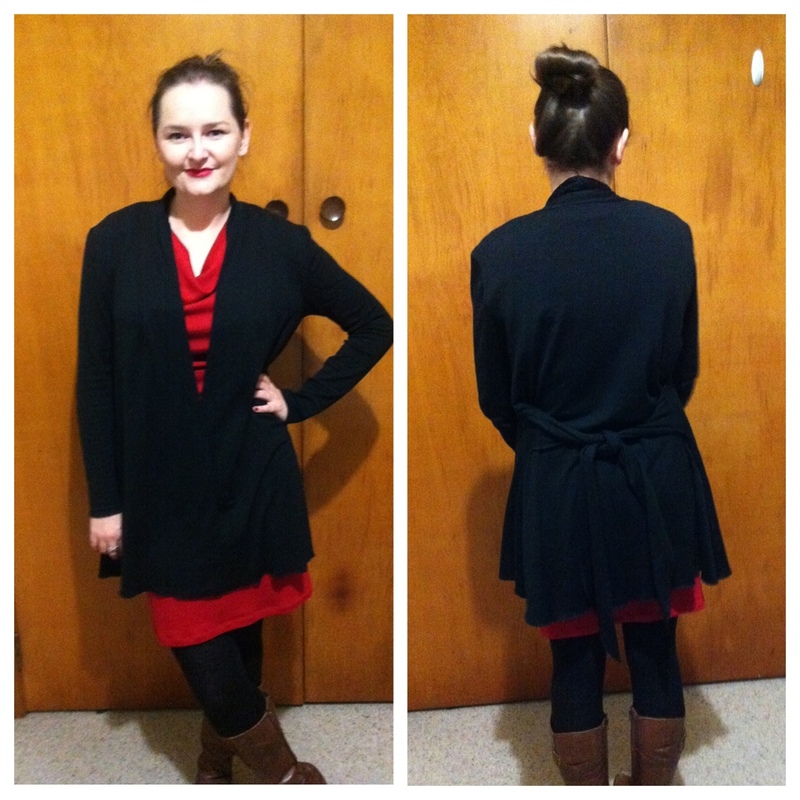 It’s McCalls 6408 (combination of view B and D) made from 100% merino knit wool from Global Fabrics. There’s not a huge amount to say on this pattern except that it is super comfortable and I’ll definitely be making it again. 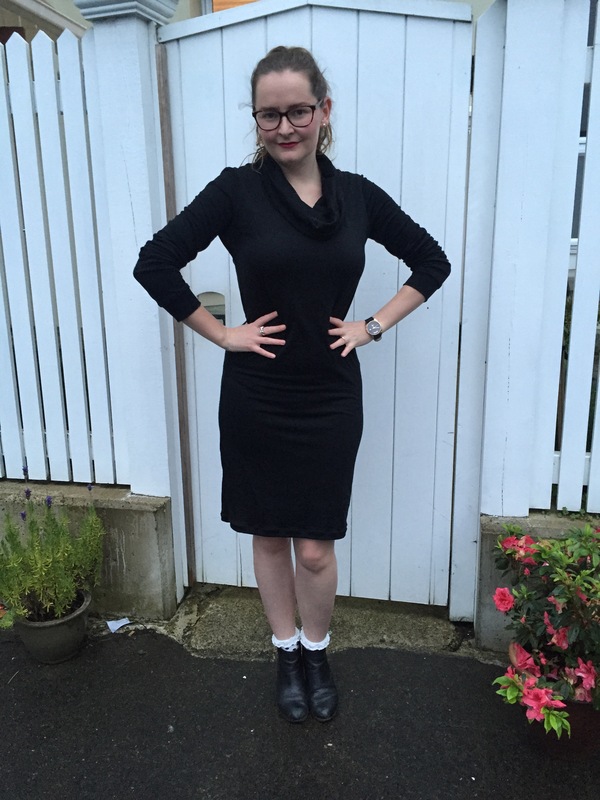 I have worn it more than any other item I’ve made, probably because it’s incredibly versatile, comfortable and I think it’s pretty classy too. 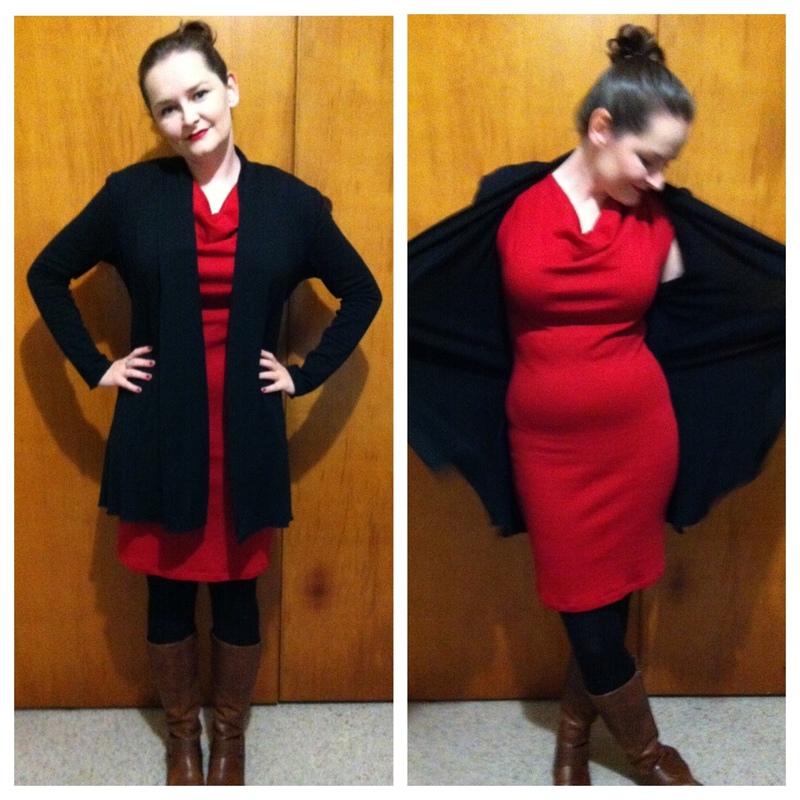 The truth is that I finished this cardi over a month ago and I’ve worn it (what feels like) every second day! The only edit I made to this very easy pattern was that I had to take the sleeve width in by about an inch on either edge. These were really kimono width sleeves that kept creeping up my arm – not fulfilling their primary duty of keeping my wrist warm! And yes I am wearing my Lady in Red Dress – DOUBLE ME MADE BONUS! 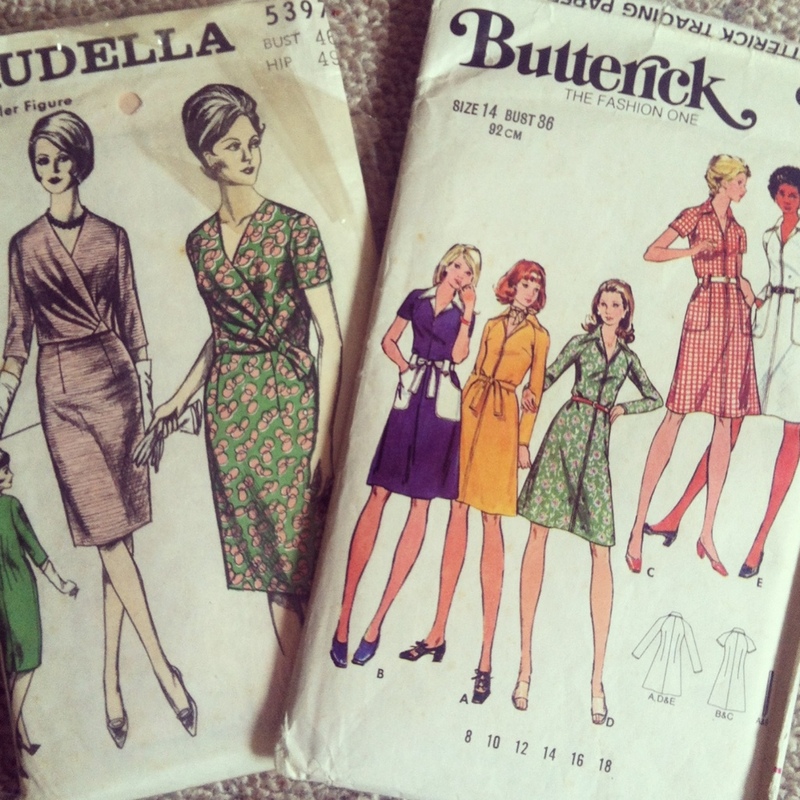 Two winners will be drawn for these lovely vintage patterns. Simply like my Facebook page and let me know which pattern you’d like – EASY! Full disclosure: I bought this pattern a while ago and have been trying to build up the courage to make it. I’m a real novice when it comes to outwear. There are so many amazing Minorus on the Sewaholic Flickr Pool and I’m feeling super inspired … but also intimidated! I need your help! I’m not sure a) what sort of material content/ fibers I should be looking for in a fabric – how will i know if it will be waterproof?! and b) what colour to make a jacket in Head over to my facebook page and you can vote on your colour choice! I will announce the colour in my next post. You have three days to vote and this will be binding eeek. Should I be regretting this already? Posted on May 9, 2013 May 9, 2013 Author Penny Dresses & MeCategories UncategorizedTags coat 2013, minoru, sewaholic patterns, sewing, winter wardrobe, your advice7 Comments on Minoru on the Horizon?